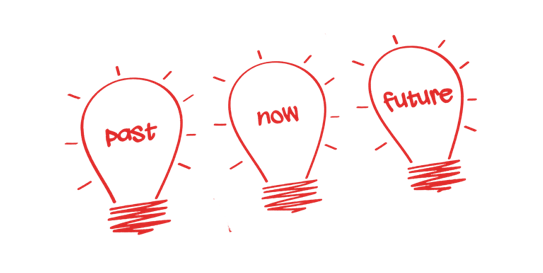 What is time series forecasting and what are the basic steps? Time Series Forecasting is an important area of Machine Learning that is often Neglected. Time Series Forecasting uses different Technologies like Machine learning, Artificial Neural Networks, support vector machines, fuzzy logic, Gaussian processes, and hidden Markov models. A time series is a sequence of measurements done over time, usually obtained at equally spaced intervals, be it daily, monthly, quarterly or yearly. Time series analysis comprises methods for analyzing time series data in order to extract meaningful statistics and other characteristics of the data. Time series forecasting is the use of a model to predict future values based on previously observed values. In other words, a time series is a sequence of data points being recorded at specific times. Forecasting is the process of making predictions of the future based on past and present data along with analyzing the trends. 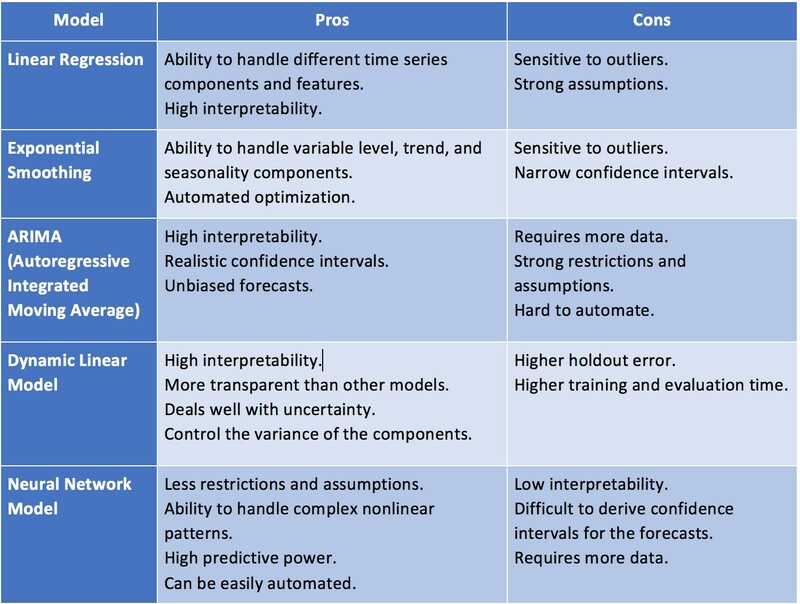 Forecasting involves taking models that fit on historical data and using them to predict future observations. Kinetic Model: The data here is fitted as xt= f(t). The measurements or observations are seen as a function of time. Dynamic Model: The data here is fitted as xt= f(xt-1 , xt-2 , xt-3 … ). Time series forecasting methods produce forecasts based solely on historical values and they are widely used in business situations where forecasts of a year or less are required. These methods used are particularly suited to Sales, Marketing, Finance, Production planning etc. and they have the advantage of relative simplicity. Time series forecasting is a technique for the prediction of events through a sequence of time. The technique is used across many fields of study, from geology to economics. The techniques predict future events by analyzing the trends of the past on the assumption that future trends will hold similar to historical trends. Data is organized around relatively deterministic timestamps, and therefore, compared to random samples, may contain additional information that is tried to extract. Time series methods are better suited for short-term forecasts (i.e., less than a year). Time series forecasting relies on sufficient past data being available and that the data is of a high quality and truly representative. Time series methods are best suited to relatively stable situations. Where substantial fluctuations are common and underlying conditions are subject to extreme change, then time series methods may give relatively poor results. 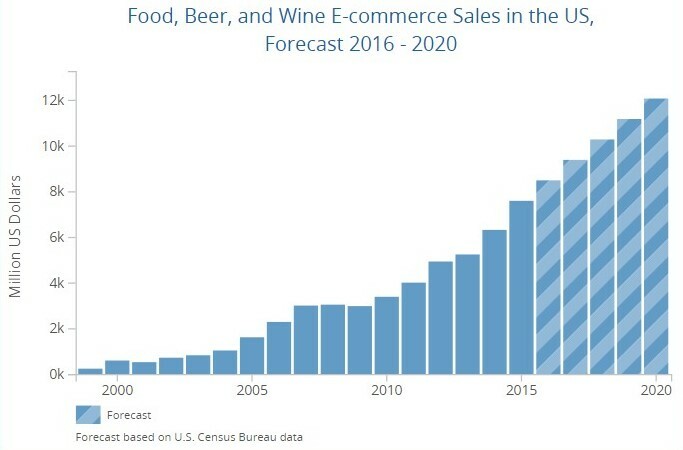 The plot below depicts the food, beer, and wine sales in the U.S. for the year 2016 till 2020. Trend Projection: This method used the underlying long-term trend of time series of data to forecast its future values. Trend and Seasonal Components Method: This method uses a seasonal component of a time series in addition to the trend component. Causal Method: This method uses the cause-and-effect relationship between the variable whose future values are being forecasted and other related variables or factors. The widely known causal method is called regression analysis, a statistical technique used to develop a mathematical model showing how a set of variables is related. This mathematical relationship can be used to generate forecasts. There are more complex time-series techniques as well, such as ARIMA and Box-Jenkins models. How much data is available and how much data you are able to gather? More data is often more helpful, offering greater opportunity for exploratory data analysis. What is the time horizon of predictions that is required? Shorter time horizons are often easier to predict with higher confidence. Can forecasts be updated frequently over time? Updating forecasts results in more accurate predictions. Time series data often requires pre and post-processing including cleaning, scaling, and even transformation.